In the earlier days of launching of Android phone users were not having as much as control over the Android operating system as we have today. Before it was not possible to do little customization in the Android OS or Android apps but today it’s really possible to do anything with Android mobiles because today you can easily root Android mobiles. After rooting Android phones you can easily run some apps which is impossible to run on without rooted Android mobiles. So for the same reasons we are going to share top 50 best apps for Android mobiles and tablets for rooted phones to make your life simpler. We are categorizing the apps in the different categories according to the nature of app. In this part we are going to share some rooted apps related to games and entertainment which are best apps for rooted Android phones. 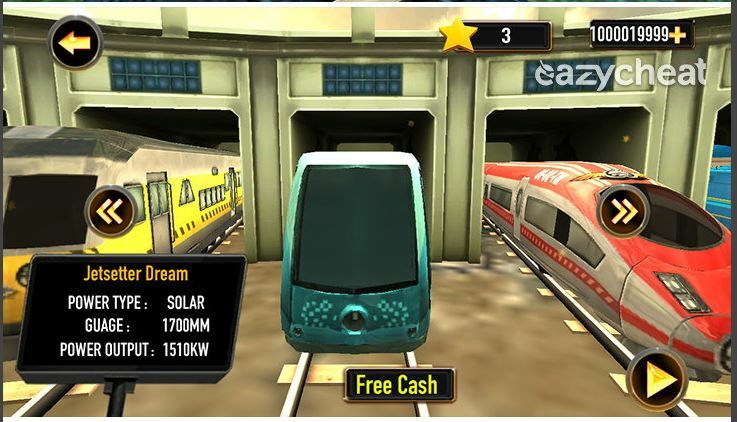 Train Simulator 2016 is an Android gaming app and very famous today. This app helps you to become a train driver on your mobile. By playing train simulator 2016 game you can easily fulfill your dream of becoming a train and engine driver. For the rooted Android mobile there is a cheat version is available for this app which allows you to get unlimited trains for free. •	Unlimited coins for free. •	Update game after cheat for free. 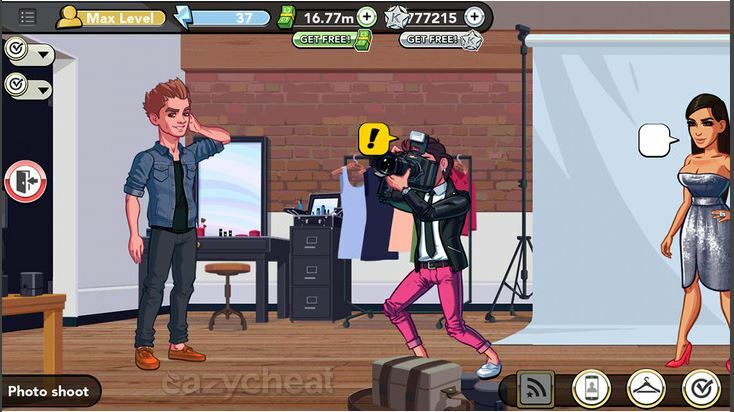 Kim kardashian Hollywood is another famous game on Google play store. This game is a perfect adventure game and allows you to create your own celebrity and give them a different look by choosing form hundreds of styles for free. For this game also there is cheated Android apk available which gives you full functionality of the game and it is only for rotted Android mobiles. Before installing cheated apk on rooted Android mobile you must backup your previous game data because it will overwrite previous progress of the game. •	No limit about the money of game. •	No limit about the start in the game. •	After installing apk allows you to update game. 3. Candy Crush Saga Cheat: Unlimited Moves! 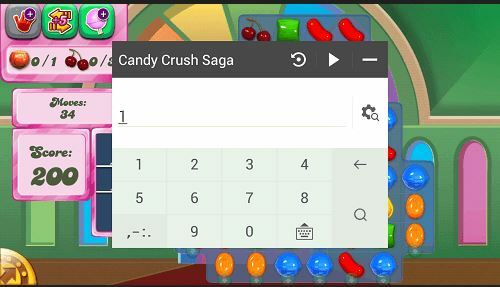 Candy crush saga mostly every Android mobile and tablet user know about this game. This game is downloaded by more than 100 million people worldwide and enjoyed this game. There are so many targets available in this game such as time level, drop and order mode etc. While playing this game you can unlock new levels and scores but you can unlock these levels directly by using candy crush saga cheat app for rooted Android mobile users. •	Word on rooted Android mobiles only for free. •	Unlock all levels of candy crush saga without playing them. •	Just enter the move number and increase your moves. 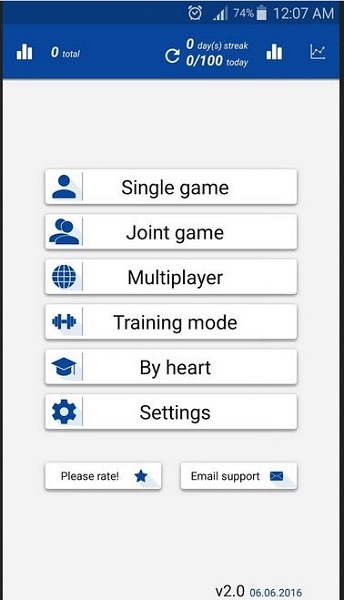 •	Enjoy game without limitation of moves. Transfer rider app is developed by the developers of traffic racer app. This app is much better than traffic racer app and you can feel a great detailed gaming experience while playing this game. Traffic rider app is allowing you to ride bike on endless highways and overtaking the roads in the traffic. You can upgrade to new cool bikes while playing this game. •	Frist person camera view. •	24 bikes are there to choose from. •	Unlimited gold in cheated app for rooted Android users. 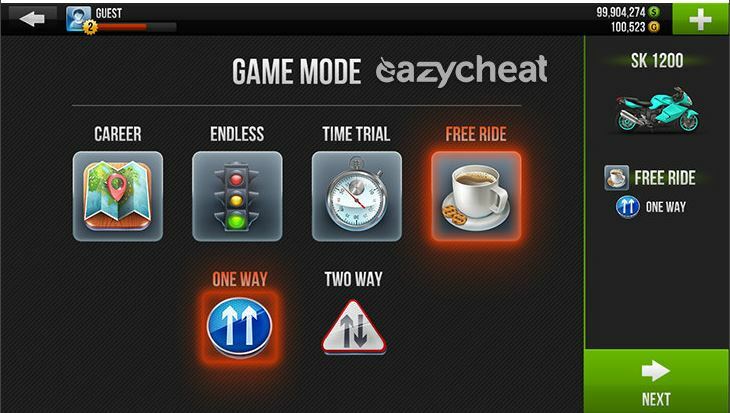 •	Every bike is unlocked and all game modes are also unlocked. •	All stages are unlocked you don’t need to waste your time to unlock them. This app is really a great gaming application for the people who love playing commando games. This game is available from the play for free. This games is available for Android mobiles and tablets from play store. There are so many free guns, bombs and much more things are available in this game allows users to play for free. You need spend some time to play game and reach on next levels. Instead of spending your time just download cheated app of this game for your rooted Android mobile. 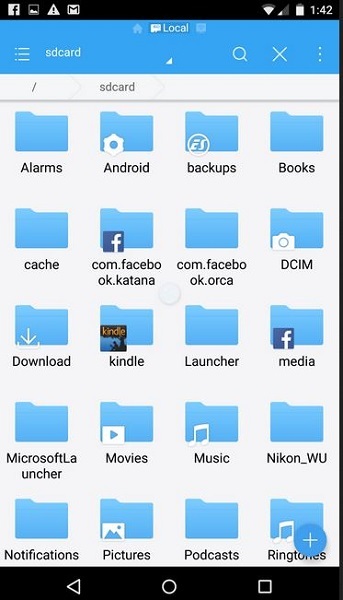 There is only one thing that you need ES File explorer to unzip the setup file. 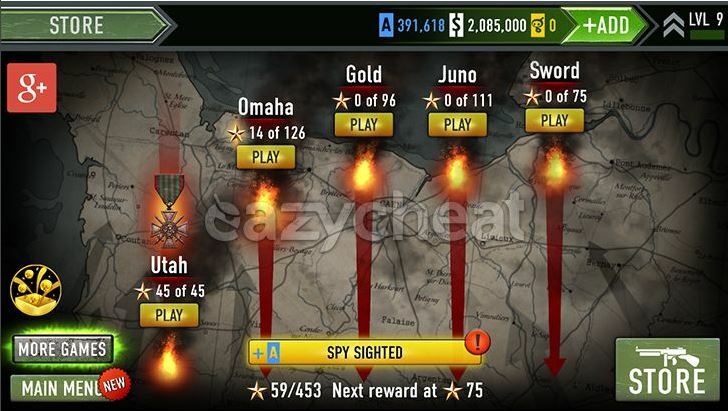 •	Get all weapons unlocked in the cheated frontline command app. •	Unlimited cash for free. •	Unlimited powerups without wasting your time in playing game. •	Best rooted Android app and works only on rooted Android mobiles and tablets. •	Update game for free after installing this cheat app. 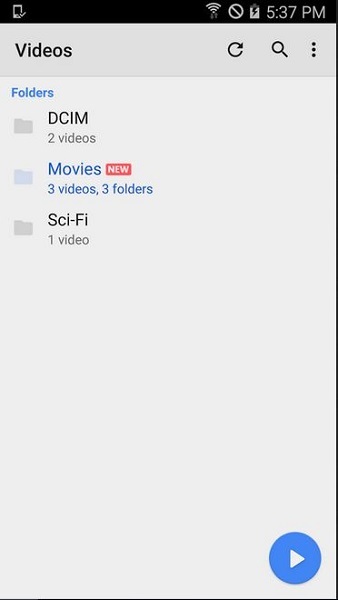 Movie tube 4.2.2 is an Android app to watch all movies for free on Android mobiles and tablets. 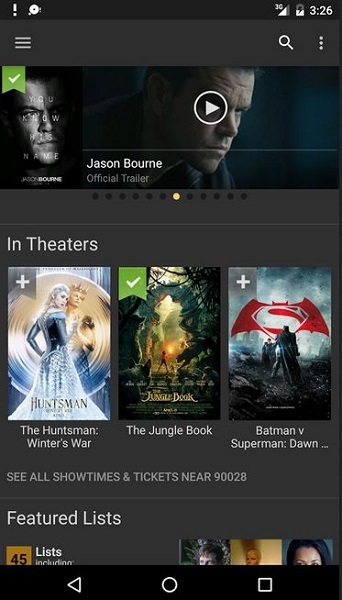 Users can find out latest movies, latest movies trailers, new related to movies, upcoming movies new or movies cast information by using this app. 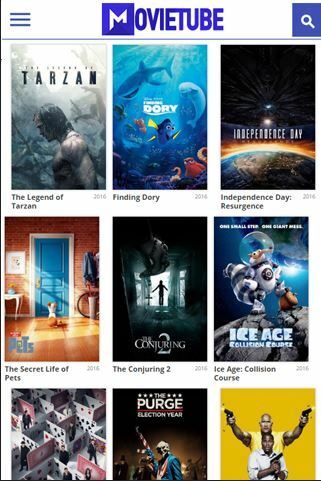 This app movie database is available there from 1970 to 2018 movies. This app is available officially from Google play store but for rooted devices you can visit the below URL. •	Get all latest movies and trailers for free. •	Get all the latest movies update till 2018 movies. •	Biggest movie database from 1970 to 2018 movies. 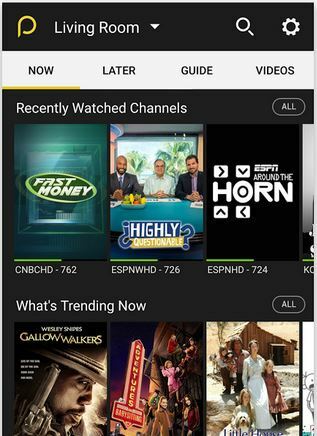 Pluto TV is an Android mobile and tablet app and enables you to view music, TV show, viral videos, Sports and new for free on your Android mobiles. 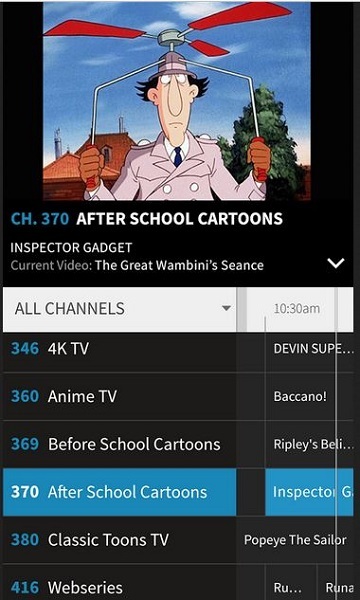 This app allows users to watch any type of videos related to news or cartoons for free on your rooted Android mobile. Official app is available there on the play store but it doesn’t work on all rooted Android mobile so you can download this app from the below URL. •	Enjoy movies, viral videos or anything for free. •	Watch TV shows for free. IMDB is a very well know movies & TV app for Android users to watch TV and free movies. This app is not available for free you can download it for free from the play store but can’t watch movies and TV for free without paying anything. There are 3 million available on the IMDB and allows you to watch latest movies trailers for free. •	Rate the movies which you have watched after watching on the app. •	Watch more than 3 million movies by paying their prices. •	New upcoming movies trailers and news related to new movies. 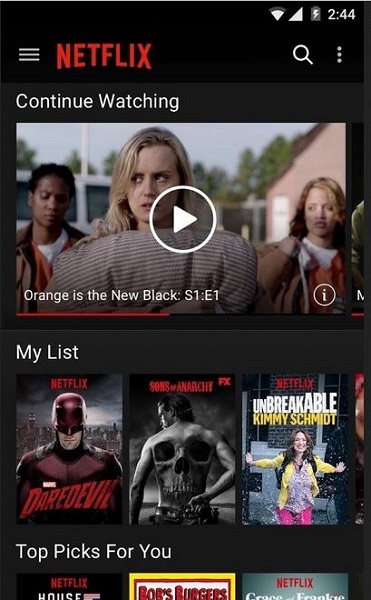 Netflix is a best root app for Android mobile and tablet users and download by more than 100.000.000 people form Google play store. This app enables you to watch thousands of TV episodes for free in the one month free subscription. After that you have to pay their little subscription amount to continue enjoying you TV episodes. •	With Netflix rooted app you can easily watch as many as TV shows and movies you want. •	Enables you to browse movies, episode by refining your results with title and new regularly added episodes. •	Enables you to watch Netflix episodes and movies on rooted Android mobile for free. MobiTV Android apps enables you to keep your TV always with you anywhere anytime. This app allows you to watch your favorite TV channels from all over the world. You can easily record your favorite TV shows directly from the app itself in just one click. With MobiTV live TV rooted Android app you can easily watch these all TV channels on your rooted Android mobile as well because it is a rooted app. •	Watch your favorite TV channels, new shows anywhere anytime. •	One click recording allows you to record channels videos as well. •	Watch live TV anytime online by using internet. •	Search shows by title or actors. •	Compatible with all rooted Android mobiles. In the lifestyle part of this article we are going to discuss about the best apps for rooted Android to make your life easy and simple. MyFitnessPal is a perfect app for you to make your lifestyle very simple. Whether you are looking to lose your weight, changes in your habits or thinking about starting a new diet plan this app is a perfect way to make everything simpler for you. App is not supported for all rooted Android mobile and tablets so we are going to tell you about the link which can support on rooted Android. •	There are 6 million of food are available from the different countries. •	Imports the nutrition information about the receive you cook mostly or thinking to cook. •	You can know about the healthy diets for you. •	Calculate calories of your food in just on tap with this rooted app. S health app for rooted Android mobile provides you the ways to keep your bod fit and healthy. This app can record your daily activities and habits to maintain perfect diet according to your body. Whether you are driving, playing indoor or outdoor or doing any other things this app will track your all physical exercises. Play store version of this app sometimes don’t work on all Android mobiles you can download rooted Android app version through the below URL. •	Tracks you daily activities and get a healthy life. 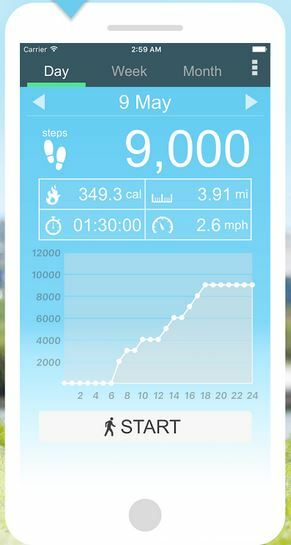 •	Allows you to record step count on rooted Android mobiles and tablets. 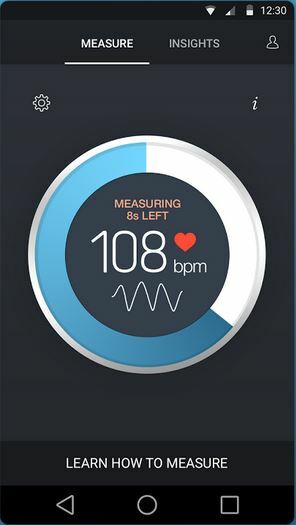 •	This rooted Android app allows you to manage blood pressure, stress or weight easily. 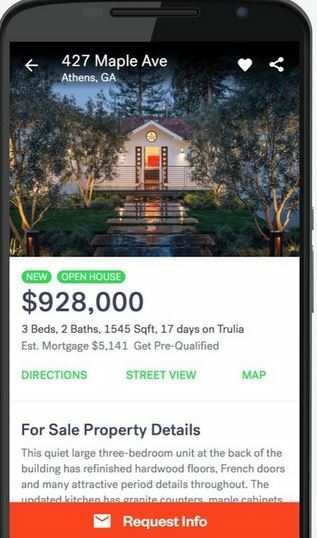 Trulia real estate and rentals app makes your life easy by searching homes near to you for buying or rentals both purposes. Trulia allows you to watch photos and videos of the homes nearby you and select as per your requirement. •	GPS option to search homes nearby your location. •	Full screen photos and videos of homes and apartments. •	Filter your searches by lot size, number of bedroom and bathrooms or price as well. •	Rooted Trulia app works on mostly all rooted Android devices. 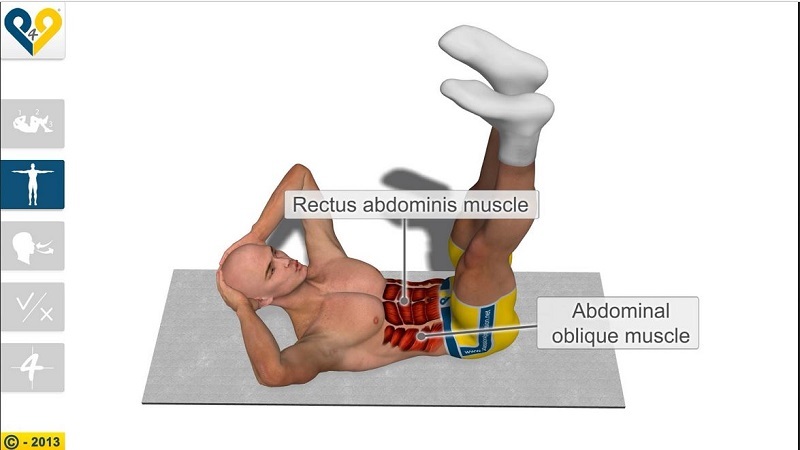 8 minutes abs workout apps enable you to provide tips to exercise anywhere anytime you want. This app is downloaded by millions of users. There is no guarantee that you will lose your weight for sure. Everything is depends on your willpower and perseverance. •	Lose weight by selecting the training as per your body and by following proper schedule. •	Original workout videos available in the app. •	Works like a charm on all rooted Android mobile phones. 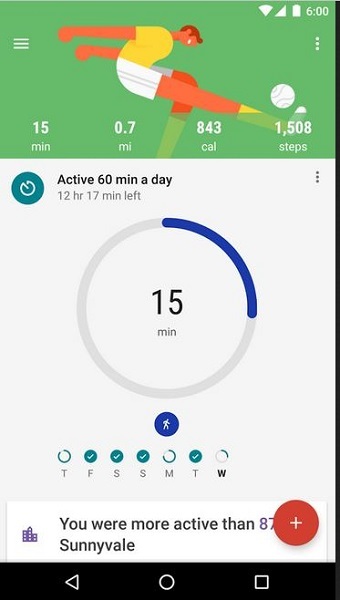 Pedometer app for rooted is a best rooted Android apps for Android users to record the number of steps everyday they are walking. This app gives you detailed information about the calories you have burned, walking time and distance or speed per hour on rooted Android mobiles. •	Allows you to count the number of steps you are running every day. •	Count how many calories you have burned everyday. •	Works perfectly on rooted Android mobiles. Instant heart rate app is specially designed for heart patients to gives an accurate heart rate monitor for the heart patients. The great part of this app is that it doesn’t require any external hardware to monitor heart rate. This app comes with ads in free version. 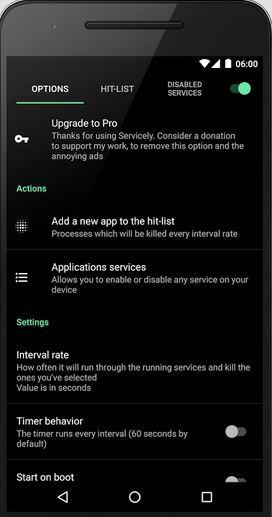 To remove ads you need to buy pro version of Instant heart rate app. •	Inbuilt camera to measure the changed color of your fingertips. •	Cardio without any monitoring. •	Enables you to watch real time PPG graph on your mobile screen directly. 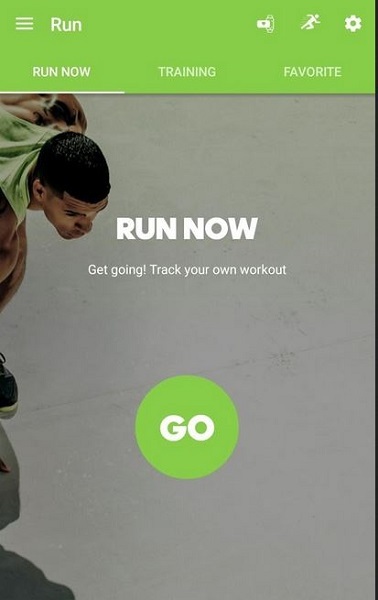 Adidas train & run app for rooted Android phones is able to turn your personal mobile phone into your personal trainer. It provides you real time coaching, free cardio and tell your about the strength training plans for free. 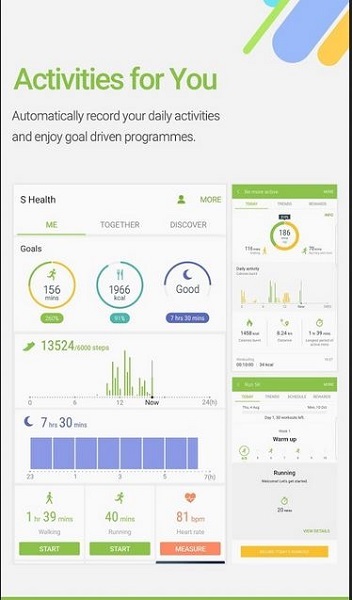 You can easily get your goals related to health using this app in few months only. •	Allows you to share your workout photos with your friends on Facebook and twitter. •	Easily get free training tips from the blogs. •	Enables you to run app in background and listen favorite music while workouts. 30 days fit challenge workout app is a great health app and provides you guarantee about losing your weight and completely fit your body in 30 days. 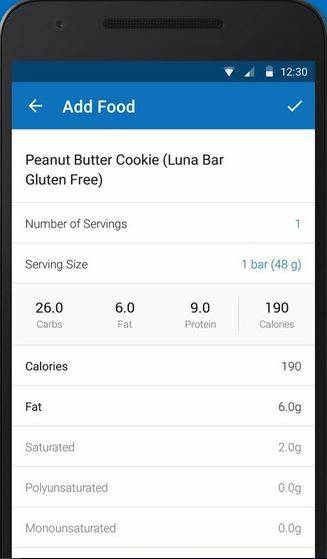 This app allows you to share your burned calories data on Google fir as well. •	Allows you to recording your workout progress automatically and share it on Google fit. •	Automatically reminds you about your workouts timings every day. •	Complete detailed videos guide with people doing exercise. •	Compatible with all rooted Android devices. Google fit is a fitness tracking app officially from Google itself. Whenever you are walking, cycling or running in your everyday life Android watch or your Android phone will logs those data with Google fit. 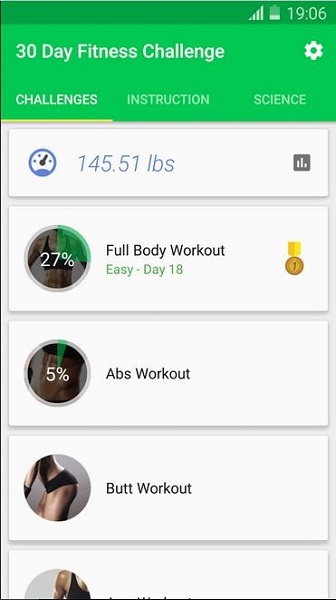 You can easily watch real time stats of your workouts with Google fir for rooted Android mobiles. •	Measure your wellness and watch real time status of your workout. •	It enables you to measure your speed, rout and elevation as well so you will always be motivated. •	Easily track your progress from Android watch, phone or tablet as well. Nestle cocina is an Android app for Android users to prepare so many different types of recipes and gives you lot of tricks to prepare simple and delicious for free using your rooted Android mobile. There is menu planner option also available which allows you to prepare a nutrition diets for every week. 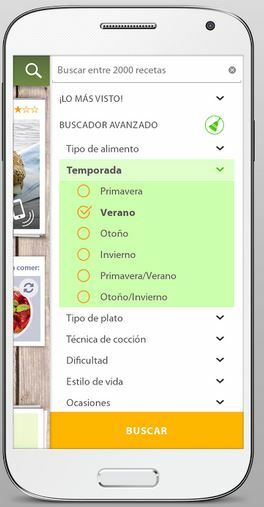 •	App allows you to learning about Spanish dishes. •	Food preparing videos for free. 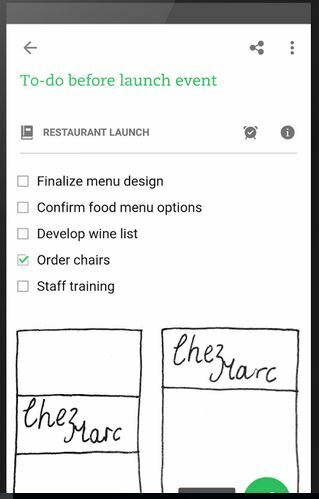 •	Get help is planning your menu with menu planner. •	Search for recipes according to nutrition, preparation time or special dates as well. This part is related to music and videos apps. We are going to tell about the 10 best available apps for music and videos for rooted Android mobiles. Google play is a primary music app for Android users which is always there preinstalled from the Android operating systems itself. This app helps you to play all types of mp3 music of your Android mobile. This app allows you to store up to 50000 songs on the server for free. •	Listen radio and music available on your Android mobile. •	Supports all rooted Android mobiles. •	Allows you to subscribe to the podcasts for free. Amazon music is another Android app which allows you to listen millions of songs on your rooted Android mobile for free. Explore curated play stations and they are always ad free without a single ad and get perfect recommendation automatically as per your searches. •	Allows you to listen millions of music for free on rooted Android mobiles. •	Get auto suggestions of new and updated music based on your search queries. •	Allows you to listen music offline in premium version. 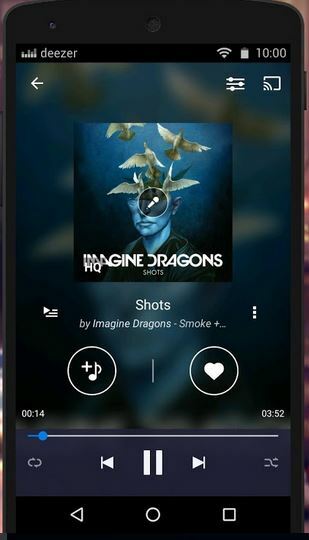 •	Allows you to listen music on all rooted mobiles and tablets. Deezer is a best rooted Android app to listen unlimited music from all over the world from the deezer player. There are two version of the app is available paid and free. 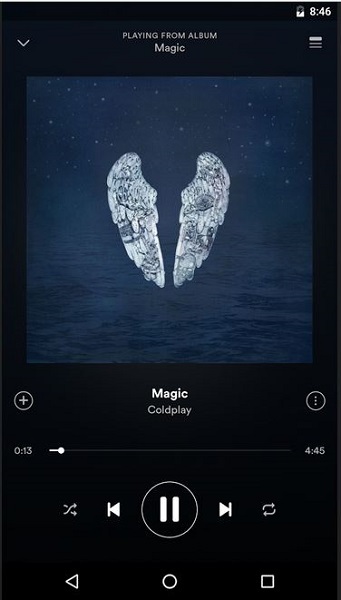 Free version allows you to stream music online only whereas in the paid version of the app allows you to download music to listen offline as well. •	Listen millions of songs for free online and offline. •	Paid users can download songs on computer or mobile. 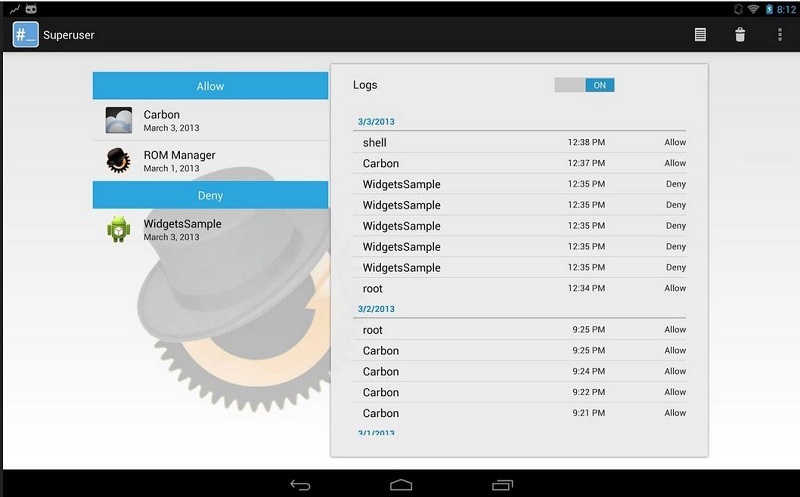 •	This rooted app for Android mobile supports and Android versions and mobiles. 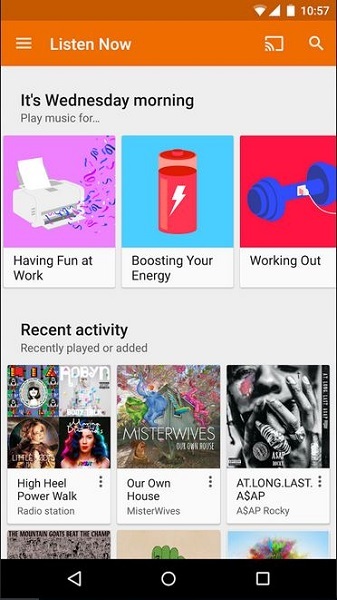 Spotify music app is there on the Android play store to listen millions of audio songs related to different artists, genre for free of cost by using your internet. But if you are looking to download these songs to listen offline then you must buy paid version of the Spotify app. •	Download songs for offline listening without internet in premium version. •	This rooted apk supports all Android devices. •	Allows you to search songs by different categories, genre etc. •	Allows you to create your own online playlist as well. •	No ads in premium version. Pandora is actually and online radio app which is there from the Genome project. 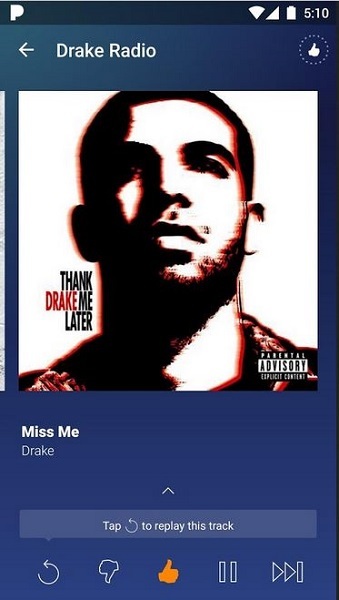 Whenever you play any music on the Pandora radio app it will automatically start playing music continuously according to your taste of music. Pandora official Google play app don’t work on all Android rooted devices you can download rooted Pandora app from the below URL. •	Listen thousands of songs for free of cost. •	It allows you to create your personalized stations. •	Just create an account and listen from Android mobile, tablet, TV or home devices anywhere. Vivavideo is a one of the best videos editor and photo slide show maker app. This app is completely free for all Android users. This app allows you to create video stories easily and share them with your friends and colleagues. •	Powerful videos editor and slide maker. •	Allows you to trim and merge video clips in storyboard. •	Adjust video playing speed by slow or fast motion. DubsMash app is there to make is easy for you to create dubbed videos by yourself with selected sound. You can easily dub well knows quotes by yourself using this app to create funny videos and share them with your friends. Paid version of the app gives you some more features for free. 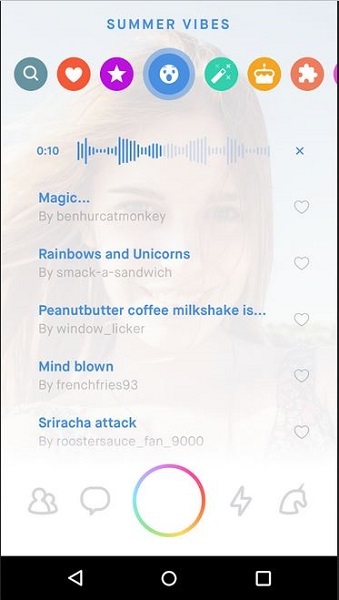 •	Choose your favorite sound and create videos with that. •	Largest quote library to create sound collection for free. •	Share dubbed videos with your friends on social sites. Mx player app is a player for Android mobile users to play videos of their Android mobiles. This player supports mostly all video formats to play videos. This app is completely free and allows you to apply hardware acceleration to more videos with new developed HW+ decoder function. •	Play videos for free. •	Able to play videos of mostly every video format. •	Supports subtitles of the videos as well. •	Automatically detect all videos available on your mobile in the player interface. Peel smart remote app is a remote control app allows you to control your TV, air conditioner with your mobile easily. This is actually not actually remote it is only a guide which allows you to read everything about your home devices like using them and options. •	Combine mostly all remote and works as a universal remote controller for all devices. •	It provides you shows recommendation as well based on the preference. •	Very easy to use and setup. HD video downloader app is a perfectly designed app to download videos from different video streaming sites and play them offline. It’s easy to download videos using this app just visit any video sharing site and save videos with HD video downloader. •	Directly save online streaming videos to your SD card. •	Supports mostly all online video formats. •	Simple and easy to use user interface. In this part we are going to share some best Phone Tool & Personalization apps which you must have installed on your rooted Android mobiles. These rooted Android apps are directly available from play store and works perfectly on all rooted Android mobiles. This app is a great app for all rooted Android phone and enables you to backup phone data locally of online for free. Backing up Android mobile apps is a primary function of this app. This app allows you to backup Android gaming apps data locally or online for free. You can easily backup gaming apps and entertainment apps data to dropbox, drive or your local computer by using Titanium backup app. This app is able to backup gaming and entertainment apps without closing them in just one click. •	You can keep multiple back up of apps locally or online no problem. •	Allows you to backup or restore mms, call logs, Wi-Fi passwords, sms as xml file. •	Sync app data to dropbox by manually or automatically mode. •	You can destroy all market links using this app. •	Easily backup your gaming and entertainment apps without closing them. Superuser we all know about it because it’s a great app for rooted Android mobile and enables you to take full access of your phone. Before there was only one app available with name superuser but now there are three apps available. You can choose anyone as per your mood or requirement but I would like to recommend ClockworkMod app because this app provides you all features for free whereas in other apps you need to buy pro version of the app. •	This app supports multiusers instead of one only. •	It is completely open source app and allows you to do changes in the app coding as well. •	Pin protection is there to stop using it by other users. •	Available for free of cost. •	Request timeout option is there. 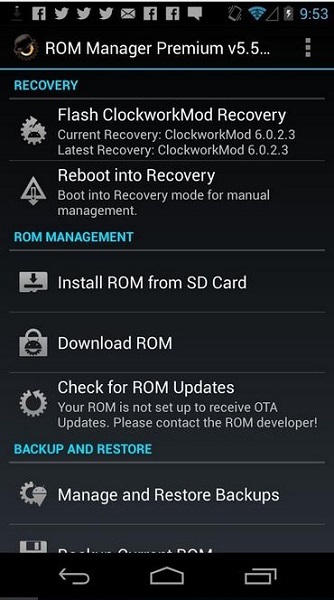 Rom manger is another Android app for rooted Android mobiles and tablets. This app has so many features in built in it which allows you to install rom from your SD card directly or manage your ROM’s with a simple interface. This app is there with free and premium version. •	Install Rom from the SD card of mobile. 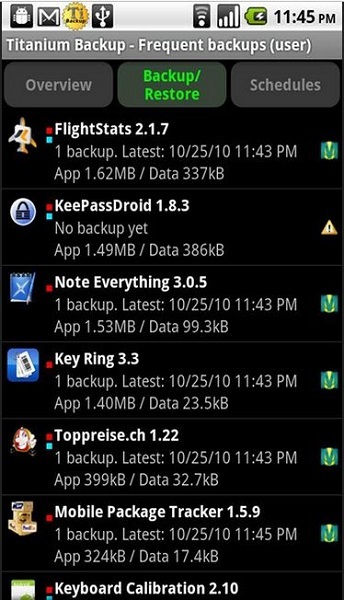 •	Allows you to perform backup and restore from the Android directly. •	Web connect and premium Rom’s for free in the premium version. 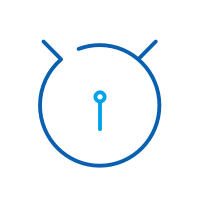 Root servicely app is there to help you out to save batter life of your phone by selecting and killing those app automatically which decreases your battery faster. This app helps you to kill the background apps automatically. You can easily disable the app services permanently by using this app. •	Automatically kill non useful background apps. •	Rooted Android app so work only on rooted Android mobiles. •	Allows you to disable or enables services permanently on your device. SetCPU for roote users app is a great app for the Android games lovers whole loves to play games each and every time. This app manage CPU frequency easily. You just need to lower the frequency and your batter life will increase in just few finger taps. This app is not for free you have to pay some amount to use it. 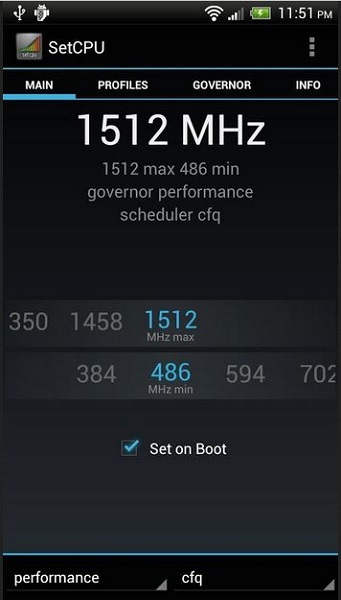 •	Helps you to manage frequency of CPU of your Android mobile. •	Change the CPU setting on rooted Android mobiles. •	Just few fingertips and down your CPU performance to increase your rooted Android mobile battery life. GLTools app is another app for Android game lovers. This app can easily increase graphic performance of your mobile while playing games. This app allows you to change resolution and bitness of any app on your rooted Android mobiles. •	Easily change name of GPU and enjoy enhanced graphics on rooted Android. •	Allows you to enables CSAA and MSAA in all apps of your mobile to the quality of graphics. •	100% safe to use on any rooted mobile. •	Available directly on play store by paying some amount. 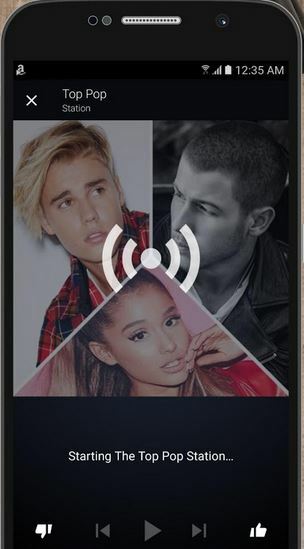 If you are a music lover and listen music in your everyday life so this is a perfect app for you because this app allows you to control music of other connected devices with your rooted Android mobile. This app only works on rooted Android mobiles. 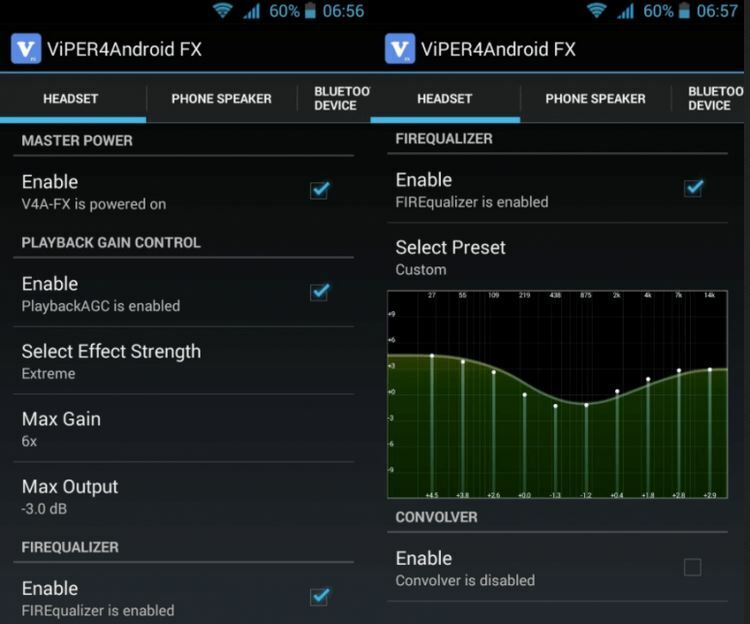 Usually controlling music of other connected audio devices is not possible to control with Android. 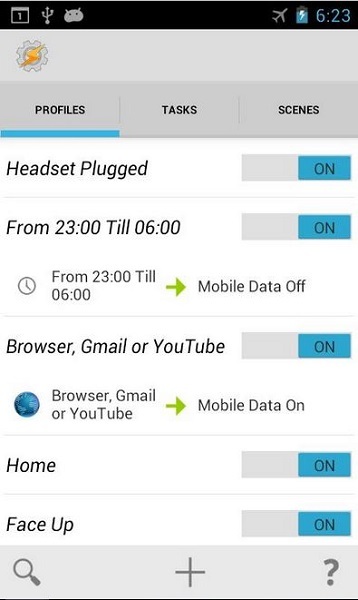 •	Allows you to adjust volume of other connected device with rooted Android mobiles. •	Control playback of headphones, phone speakers and other Bluetooth devices easily. While using a rooted Android mobile if you looking for an app to block anonymous calls from unknown people then it is a great app for you. 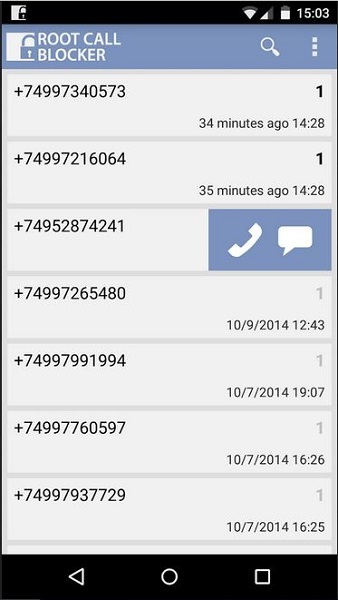 This app is very powerful and allows you to block call, sms and MMS from unknown users on rooted Android mobiles. •	Your phone screen will not turn on and never ring when you receive calls from blocked numbers. •	Allows you to ignore messages and spam calls for free. •	Import list of number as a CSV file as well. Just install this app on your rooted Android device and it will gives you automatic toolbox which is capable in automating everything. This app works on non rooted Android devices as well but it is more powerful on rooted devices. 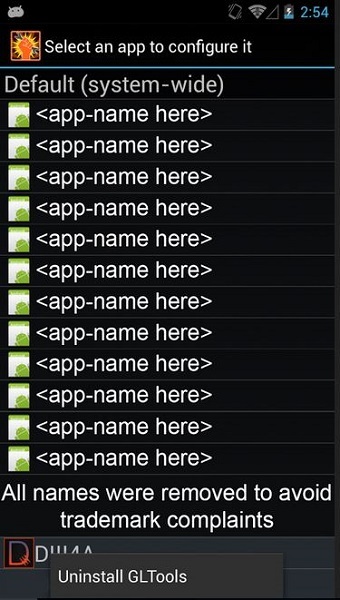 •	200+ actions in built are there and plugin support as well. •	Allows you to design screen overlays. •	It can trigger plugins, timer, shortcut, location, time, day on rooted Android mobile. •	Works more powerfully on rooted Android mobiles. 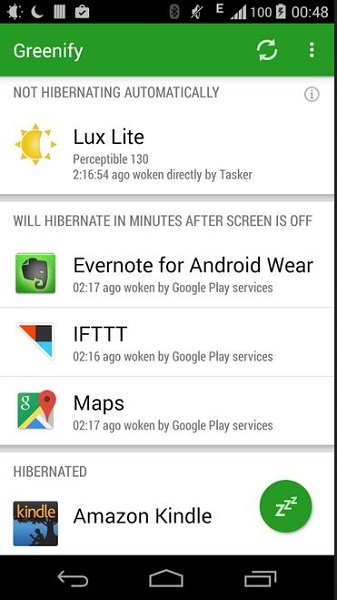 Greenify is a great way of improving battery life of rooted Android mobiles. Undoubtedly, greenify is a perfect app for the rooted Android mobile users who loves a long batter life. This app works on no rooted Android mobiles as well but while using this app on non rooted Android phones there are so many limitations as compare to rooted mobiles. •	Improve your mobile battery life. •	Works on rooted and no rooted both Android devices. •	Never collects your personal data. In this part we are going to share best 10 apps related to productivity and education you must have installed on your rooted Android mobiles. 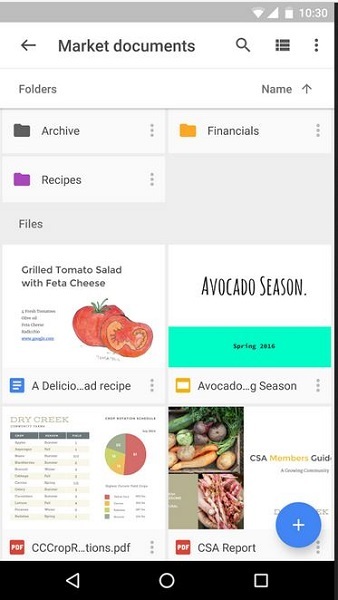 Google drive is a very well-known app for Android users to back their files in a safe place online and access them from anywhere anytime from different devices such as tablet, smartphone or computer easily. This app allows you to backup all files like photos, videos and documents and edit them anytime. •	Backup files online and access them anytime anywhere. •	Edit or delete files from any device later after backup. •	Share files and folder with other easily. •	Easy to use interface for everyone. Some Android mobile don’t come with inbuilt file manager this app allows users to manage their files using this file manager. This app allows you to watch your both local and network files for free and enables you to switch between local and cloud files. •	Manage files by cut, copy, paste or delete. •	Provides access to entire files systems for root users. •	Transfer files wirelessly using ES file explorer. Evernote is an Android app to organize your file like photos, audio, video, web clippings or anything easily. You can easily organize your receipts, bill and invoice of your products by using evernote. Evernote play link doesn’t work on every Android mobile you need to download apk of the app to use it on rooted Android mobile. •	Allows you to organize all types of documents easily. •	You can take note from the different file formats without any limitations. •	Attack your photos, pdf and office docs for free. •	Allows you to create your to do lists easily. 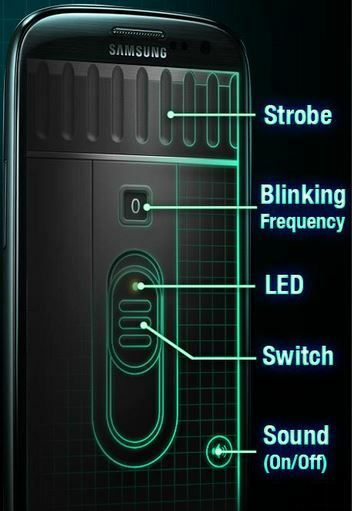 Super-bright LED flashlight is a mobile app enables you to turn your rooted Android mobile in a bright flashlight. It comes with an on/off switch and enables you to turn on and off the light whenever you need. •	Allows you to turn on and off your device led flash when you need. •	It supports blinking lights as well which you can use to give signal to someone. 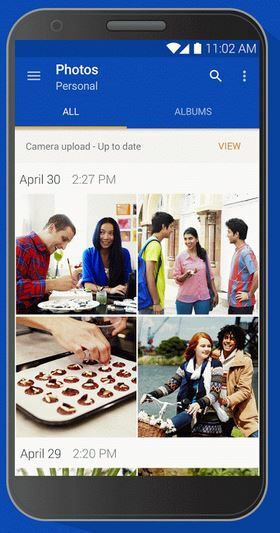 Miscrosoft OneDrive is an Android app to share your photos, document and other files from your computer and any other device. This app allows you to work with your personal files whenever you are on the go. It automatically upload photos and videos. •	Open one drive files with office like word or PowerPoint etc. •	Allows you to find photos very easily. •	Whenever a shared document is edited automatically get notification about it. 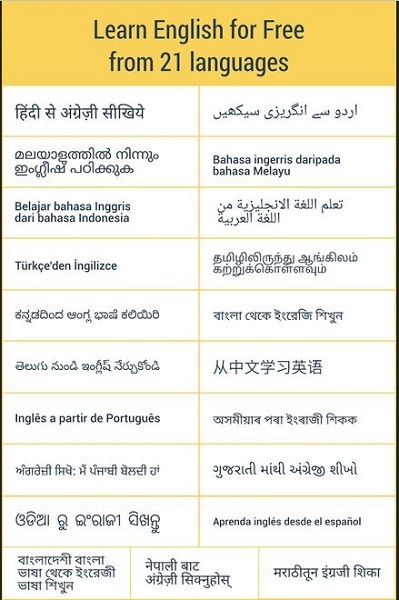 Whenever you are going to visit other countries and don’t know language of that country that time DuoLingo app is the best way for you to learn different languages. It allows you to improve your reading, writing and listening skill on different supported language. •	Allows you to learn dutch, irish, Danish or so many other languages on your rooted Android. •	It’s free to use the app. •	Easily work on rooted Android mobiles. Math tricks as it’s name says this app is there on the play store to learn short tricks of mathematics for free. This app is a great source for learning for those people who would like the increase their calculation speed and want to finish their tasks faster. •	More than 20 types of math tricks for easy calculation for free. •	Fully working on rooted Android devices. •	15 levels for every trick and start rating system to motivate you. Hello English is a app to learn English form so many different languages such as Turkish, Punjabi, bangali, Chinese etc. 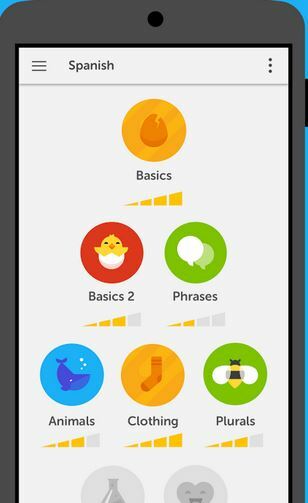 this app is used by 15 million people to improve their English for free. It can easily help you to build your vocab and perfect English grammar for free. •	Directly learn from English from your native language. •	More than 10 languages are supported by the app. •	Easy to use for all people. •	100% offline app works without internet. Photomath app is a great way of solving your math queries in easy way. 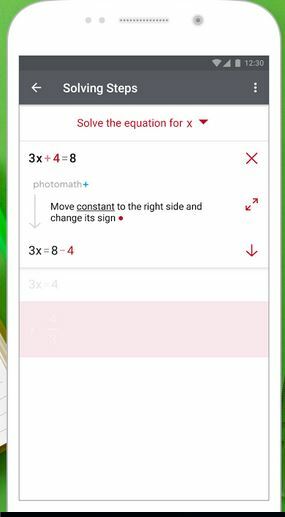 it is easy because you just need to point your mobile camera toward a math problem and this app will solve the query and gives you answer automatically. This app is really works like a magical app because it can recognize handwriting easily. •	Camera calculator allows you to get answer of your questions without entering anything on screen. •	Automatically recognize handwriting of your paper. •	Easy define you everything with colorful explanation. 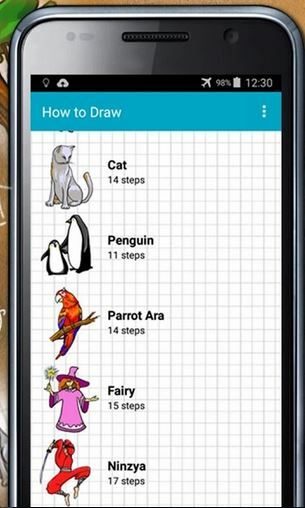 How to draw app is very useful for those people whose child love drawing. This app can use by every age person. This app completely works for you as your personal art teacher and teach you about designing dozens of things for free. •	It comes with lots of inbuilt drawings related to dragons, planes, animals etc. •	Every inbuilt drawing is divided in different steps to learn it easily. •	Just draw on the screen and create your own drawings. Is one click root safe? This article directly address this question by providing a full solution to safely root android. In this article, we will be learning about simple and easy methods that can be employed to root Samsung GT s7562 which runs on Android V4.0 Ice cream Sandwich. Learn how to hide root access on your Android phone right here. We have come up with three different root hider methods and their stepwise tutorial for you.